Back in June, I posted a screencast video of “Frame, Sequence, Medium: Comics in Plurimedial and Transnational Perspective,” a presentation I gave at the German Association for American Studies 2011 annual conference in Regensburg. This got me thinking about making screencast versions of other talks I’ve given. 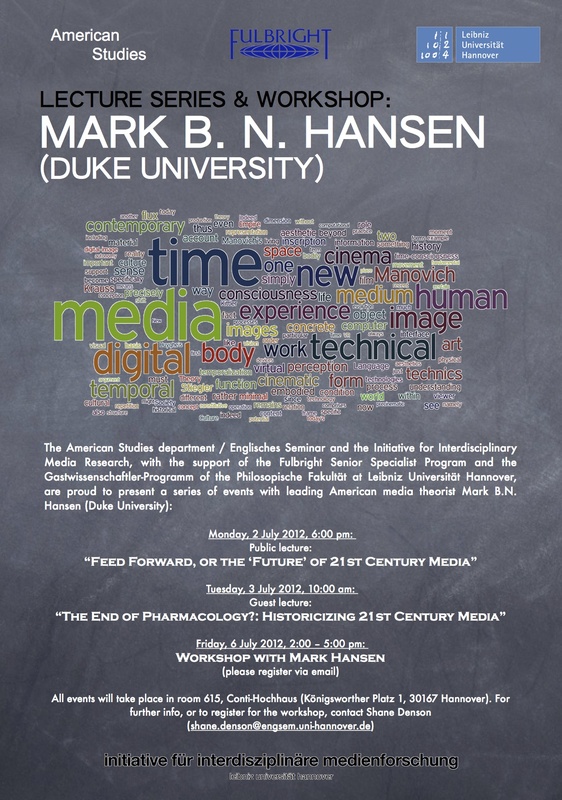 Here is one for a talk entitled “Media Crisis, Serial Chains, and the Mediation of Change: Frankenstein on Film,” which I gave at the American Studies Association annual conference in San Antonio, Texas on November 19, 2010. “Our motivation for this event is to reduce what we see as a stark discrepancy between the popularity of Comics Studies on the one hand and the virtual lack of encompassing methodological reflection on the other. We have planned one keynote speech for each of the two days: Dr. Thierry Groensteeen (freelance lecturer and curator; founder of http://www.citebd.org) will hold an introductory speech on Friday 14 October, and Dr. Roger Sabin (lecturer at Central St. Martins University of the Arts, London) will give a paper on Saturday 15 October. Each speech shall be followed by several thematic panels, in which researchers will present their papers and thereby introduce a broader discussion. “In the available accounts of the theories and methods of popular culture studies, phenomenology is conspicuously absent” (Carroll, Tafoya, and Nagel 1)—thus observe the editors of a volume meant to rectify that situation, published in the year 2000. But over a decade later their statement remains largely true. In the meantime, popular culture itself has changed, as have the studies devoted to it: new theories and methods have emerged, and different phenomena have come into view. Developments in and around comics and graphic novels are exemplary: comics themselves have been transformed through contact with digital media, their social status revised largely through the graphic novel, and they have come to exert an unprecedented influence on mainstream cinema and television. Today, comics cannot be ignored, neither in the broad field of popular culture nor in the more specialized realms of academic study: increasingly, comics are being researched with a great variety of methods by literary scholars, historians of art and culture, media theorists, and even philosophers. Looking back from this vantage point, we may find the absence of phenomenology among fin-de-millennium approaches to popular culture less surprising than the conspicuous absence of comics in a volume dedicated to Phenomenological Approaches to Popular Culture. Phenomenology and comics, or so it would seem, pass like ships in the night—and this despite the fact that the insights of some of the seminal works on comics, such as Will Eisner’s Comics and Sequential Art and Scott McCloud’s Understanding Comics, were arrived at through methods and means of looking at comics that were implicitly phenomenological in nature. 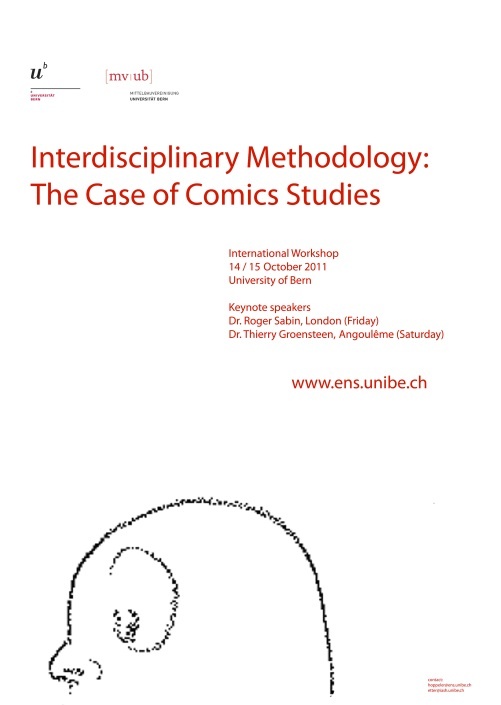 It remains, then, to make these methods explicit, and to transform phenomenological insights into a genuine methodology available for the study of comics. As a first step towards this goal, I propose rethinking Eisner’s and McCloud’s classic contributions through the lens of categories and concepts developed by American philosopher Don Ihde for the phenomenological study of “mediating technologies.” Adapted to the medium of comics, and applied specifically to the central figure of the frame that, in various forms (e.g. panels, speech balloons, pages as meta-panels), dominates Eisner’s and McCloud’s analyses of comics as a sequential art, Ihde’s phenomenological categories lend greater depth to our understanding of comics as an experiential domain, throwing phenomena like the achievement of “closure” (as McCloud puts it) between panels into sharper relief, but at the same time revealing the requisite negotiations between and amongst frames and the internal and external spaces they define as a highly complex process. 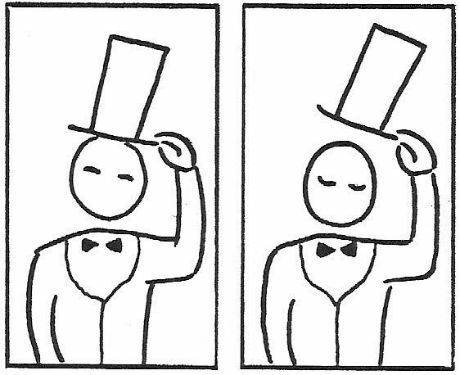 The apparently simple act of reading comics, that is, is revealed as a highly complex process, one involving a non-linear dynamics that can be traced back to the recursive nestings and reversibilities of frames as phenomenal objects. Ultimately, the multistability of comics’ framings, as revealed in a phenomenological analysis, points towards the logic of flickering oscillations that Derrida has exposed under the rubric of the parergon, and hence to a postphenomenological approach that destabilizes any categorical difference between subjects (or readers) and objects (or comics). Nevertheless, a phenomenological methodology may prove to be the only route to understanding the irreducible experiential entanglements involved in our transactions with comics as a medium of the multistable frame. Carroll, Michael T., Eddie Tafoya, and Chris Nagel. “Introduction: Being and Being Entertained: Phenomenology and the Study of Popular Culture.” Phenomenological Approaches to Popular Culture. Eds. Michael T. Carroll and Eddie Tafoya. Bowling Green: Bowling Green State University Popular Press, 2000. 1-18. Derrida, Jacques. The Truth in Painting. Trans. by Geoff Bennington and Ian McLeod. Chicago: U of Chicago P, 1987. Eisner, Will. Comics and Sequential Art. Rev. ed. New York: Norton, 2008. McCloud, Scott. Understanding Comics: The Invisible Art. New York: HarperPerennial, 1993.
International audiences often consume U.S. television series with surprising effects, as Ien Ang has shown with respect to the subversive global reception of Dallas and audiences’ critical take on the show’s celebration of capitalism. Yet, many recent television series seem to be aware of this subversiveness and deliver it already built-in. Especially genre-bending and style-conscious shows of the high profile Quality TV-variety routinely feature non-conformist characters and voice criticism of global corporate capitalism. By focusing on 30 Rock’s construction of a particular audience defined by taste rather than nationality, I want to read its mocking representation of U.S. capitalism as a contemporary inflection of Americanization connected more to processes of heterogeneity than a homogenizing ‘Coca-Colonization.’ 30 Rock may never be a global phenomenon on a large scale like Dallas. Still, its international impact shows how contemporary ‘narrowcasting,’ through which certain groups of viewers rather than large masses are addressed, can become a transnational phenomenon. The imagined global community of shows like 30 Rock consists of active and subversive viewers who see themselves as parts of a subculture critical of globalized U.S. capitalism—and nevertheless consume a product tailored to their tastes by a culture industry that imagines a strikingly similar group. I want to argue that this paradox can only be resolved if we find a cultural analysis that mediates between the hope that audiences are critical subversives and the fear that they are passive ‘cultural dupes,’ and comes up with a third way of analyzing consumer capitalism. In this paper, I argue that careful attention to some of the basic formal properties of comics calls not only for comparisons with analogous properties of other media, but for appreciation of the fact that comics themselves exhibit a strong tendency towards imbrication in robustly “plurimedial” contexts, such that comics as a medium must be seen as a nodal unit in larger, non-reducible networks of mediation. Setting out from a rather formalistic consideration of comics’ techniques of visual and narrative framing and sequencing, and drawing on observations made by Derrida and others, I identify a set of crucial liminalities and reversible oppositions—e.g. between the inside and outside of framed panels, between the temporal and spatial orderings of sequences—that are centrally at work in, and perhaps even partially constitutive of, the medium of comics. At the limit, this formal-phenomenological investigation suggests that liminality or marginality pertains not only to the “internal” relations or constitution of the medium, but that it is also a basic fact of comics’ “external” relations to other media. Above all the serial forms typical of comics’ narration witness the medium positioned in an emphatically plurimedial field, where boundaries are continually negotiated, annexes claimed, and permeable borders policed. The figures that populate comics series, in particular, move between diegetically closed narrative worlds, the integrity and continuity of which is often highly strained, and open multiverses that encompass not only alternative realities within the medium of comics but also alternative existences in other media as well. Attention to the way that serially and plurimedially instantiated figures (such as Batman and Superman, but also Frankenstein or Tarzan) negotiate the relations between diegetically open and closed serialities promises, finally, to shed media-theoretical light on the social question of the dynamics of comics’ transnational reception—which involves superheroes and other comic figures in both global and local contexts, in internationally standardized forms and national or regional adaptations. In a different context, Benedict Anderson has identified a competition between “bound” and “unbound” serialities at work in the modern constitution of nations as “imagined communities”—a competition, that is, between the totalizing closure of a territory and numbering of its occupants as effected by a national census, as opposed to the categorically open and ongoing iterability and reproducibility of events as modeled in the media of newspapers and photography. Refocusing Anderson’s perspective onto comics’ serial and plurimedial negotiations of “bound” and “unbound” formations—understood in relation to the marginalities and reversible boundaries that mark the frames, sequences, and media of popular culture—I aim to link comics’ plurimedial relations and their transnational imaginings through seriality as a locus of ambiguous intersection and border-crossing.